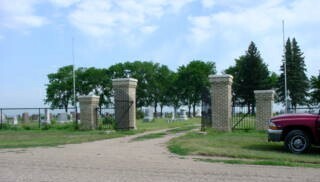 Ulysses Township Cemetery is located 0.8 mile south and 1 mile west of Ulysses, Butler Co. Nebraska. Saint Mary's Cemetery is just west of it. 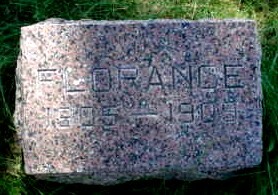 Note: One Brandt and two Cordes burials (+) were moved from St. Peters Evangelical Lutheran Cemetery/Church, Surprise, NE, after 1923, according to Jerry Althouse who contributed those names. Civil War, Co I 80th ILL. Vol. Inf. WW II, NE Pfc Med Det 129 Inf. dau of J.P. & ___? Civil War, Minnesota Pvt Co B 12 Regt Inf. GAR, Co. B, 8th Ill Cav. Co. K 151 Ind. Inf. GAR, Co. F 3rd Ohio Vol. Inft. 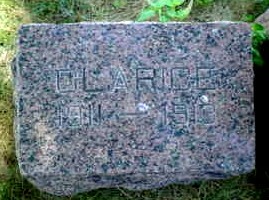 child of Godfrey & Eliza J. Rihart, Eliza is the next grave. GAR Pvt. Co. F, 7 Iowa Regt. dau of A.D. & M.L. son of A.D. & M.L. inf of J.R. & Z.M. "On August 17, 1886, a meeting was held at the Grimes Opera House in Ulysses, Nebraska. The residents of the community decided the present cemetery site within the Village at 6th and G Streets would never be large enough for a cemetery for the growing community. "Five acres of land was purchased from William Innis in the SE 1/4 of 29-13-2, Butler Co. Nebraska, for a sum of $500.00. 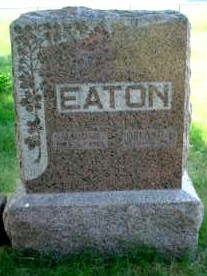 The first cemetery board was S. C. Oates, William. Crosby, G. W. Lord, Arthur Hale, S. Rhodes, and W. T. White. 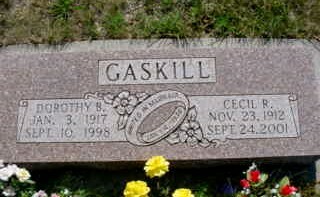 The name Ulysses Township Cemetery was chosen. It was deemed to forever be a burial place for the poor and veterans as well as the community. The Grand Army of the Republic (GAR) purchased a large number of lots for the Civil War veterans. 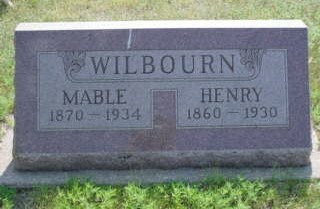 "Large shareholders were J. J. Burge, Charles D. White and George L. Smith, thus their burial plots were situated near the entrance gate, as an honor to them. 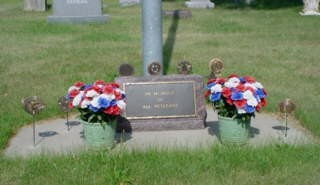 "The present Cemetery Board (October, 2000) is Don Mashek of Lincoln NE, Victor Payne and Robert Woodruff." 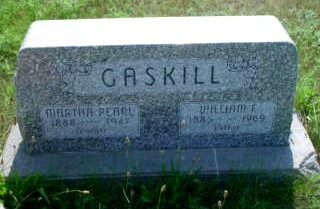 Knauber/Karpisek Cemetery is located 0.7 mile west and 1.5 miles north of Ulysses, NE. Apparently the original name was Knauber Cemetery, but because the Karpisek family lived near it, it was often referred to by their name. Contributors: Grace M. Hoeft & Nancy Hartman. Co. H, 4 Ind. Cav. 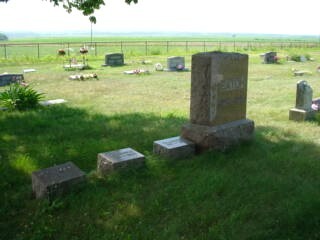 "Unnamed and abandoned burial site in the North West corner of the town of Ulysses, Butler County Nebraska. On 10 June 1983, Nancy Hartman visited this site. 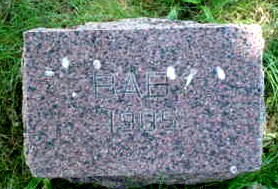 After being told the stones had been moved in about 1975, from the graves and placed across the road to the east. This was done so a new resident could use the former location for a horse lot. The stones are lying on the ground one large stone is broken and lying on the side I could have been unable to read some of the inscriptions. They are in tall grass near a row of Cedars." Thomas Thompson, age 62 wife Jane age 60, lived in Spark, Butler co. Nebraska. 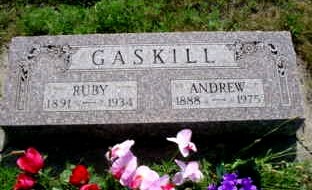 They had Robert, Rosella and a niece Ida Anderson. Albert Montgomery age 44 and wife Mary A. age 39 lived in Ulysses, Butler co. Nebraska. They had Ellen, Samuel, Clara age 17, William, Edgar, Robert, Carlos. J. McWilliams age 32 and wife Lois age 25 lived in Brainerd, Butler co. Nebraska. They had Rosella age 3. As of today, I am not sure what has happened to the lot where the graves are I have never been back to the location. May we always remember these people. - Nancy Hartman.